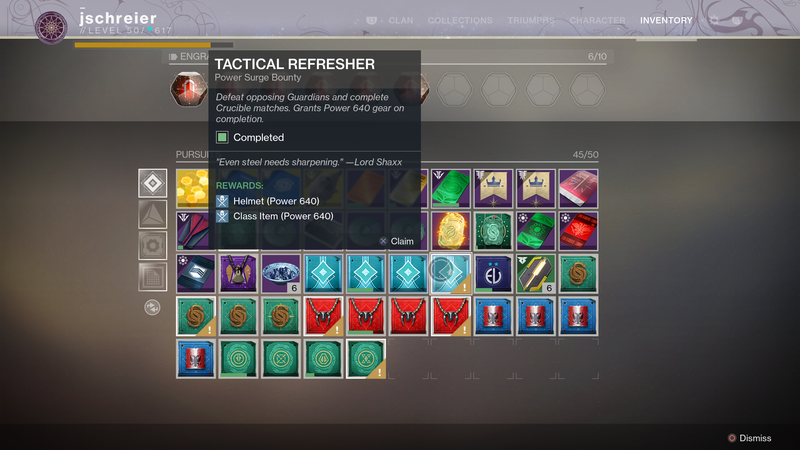 If you, like me, haven’t had the time or patience to keep up with the Destiny 2 grind, here’s some good news on this day full of new Gambit modes: You can now get all the way to 640 power in just an hour or two, as long as you have the game’s year two Annual Pass. 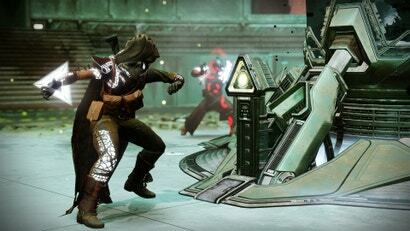 Step 1: Go to the Drifter. He’s hanging out in the Annex now, so use that fast travel point when you head to the Tower. Step 3: Do all four. They’re all really easy, simply requiring you to go out and play the game—one is in Gambit, one asks you to do a strike, one asks you to play some PvP, and one has you go off and do public events and local bounties. Here’s the most important part: If you’re below 640, don’t do anything else until you’ve done these quests! Your weekly powerful rewards will continue to drop closer to your current power level, which is a waste until you’ve gotten your total max all the way up to 640 through these special bounties. 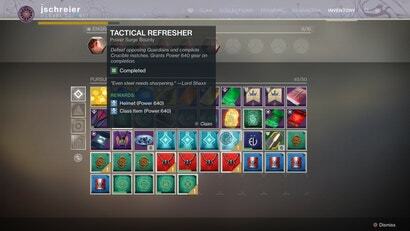 It’s a great mechanic and a welcome addition to the game for those of us who want to see all the new stuff but haven’t kept up with the grind. And hey, Gambit Prime is pretty fun. Destiny 2—it’s a good video game. Damn the level cap is 700? As soon as I finish Spider-Man I'll renew my PS Plus membership and finally jump back in. Well id love to jump in and play. But bungie has seemed to make it impossible to buy the annual pass on its own, At least on Xbox one. If you try to find it on the store it says its not sold separately and you have to buy a pack that includes the game itself. You can get the annual pass. On the xbox store. I did. $49.95. I think you can go to the Blizzard website and buy it directly through there so long as your account is linked to the BNet launcher. At least on Xbox one. so long as your account is linked to the BNet launcher.